Want to dive in the World of Artificial Intelligence and all it entails? To start speaking algorithms, clustering and also natural language processing? Well, if the answer is yes then this glossary is made for you. 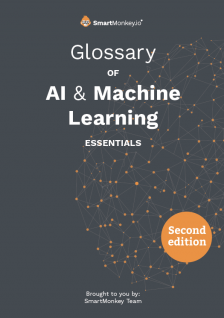 SmartMonkey thought about covering the AI terminology by a comprehensive glossary to help you understand the jargon and the terms underpinning this sector. Enjoy!